tvN Asia’s brand-new original production in 2018 – Get It Beauty On The Road airs every Tuesday at 18:30 (GMT+8). Audience receives practical K-beauty tips from show hosts Korean fashion and beauty icon, Sandara Park; up-and-coming actresses in Singapore Chantalle Ng and Tay Ying, as well as beauty experts from Korea. 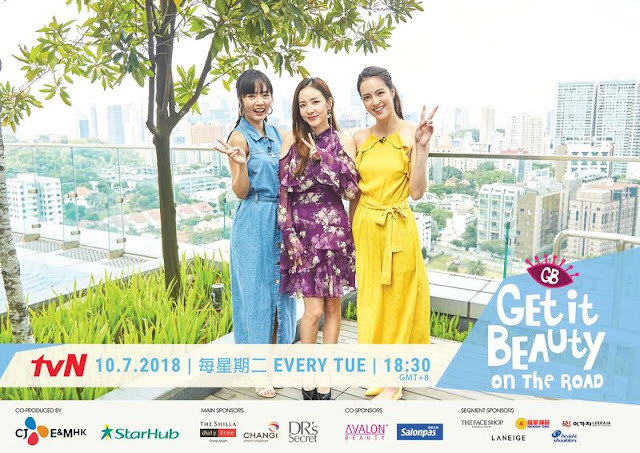 In the second episode of Get It Beauty On The Road the three hosts alongside K-makeup expert Kim Ki-soo explore the skin and hair problems faced by many females living in a sunny and humid weather. Topping the problem list is oily skin, which lead to clogged pores and acnes; with the strong sun, pigmentation and freckles are troubling females in the region as well! With Ki-soo’s super tips, back to the basics, all you need to do to survive the hot weather is simple, with the right cleanser, toner and moisturizer, everyone can achieve clean and poreless skin. Apart from oily skin, a lot of females face the greasy scalp and hair problem, no matter how often they clean their hair, it still appears to be oily. Skipping conditioner is never the way to go, so stay tuned to find out how to get glowing hair! Get It Beauty On The Road airs every Tuesday at 18:30 on tvN in Asia. The 4-episode series is conducted in Mandarin, Korean and English and paired with subtitles in English, Chinese, Bahasa Malaysia, Bahasa Indonesia and Thai. tvN is available in Hong Kong, Singapore, Taiwan, Malaysia, the Philippines, Thailand, Indonesia, Myanmar and Sri Lanka. tvN, where fun takes off! 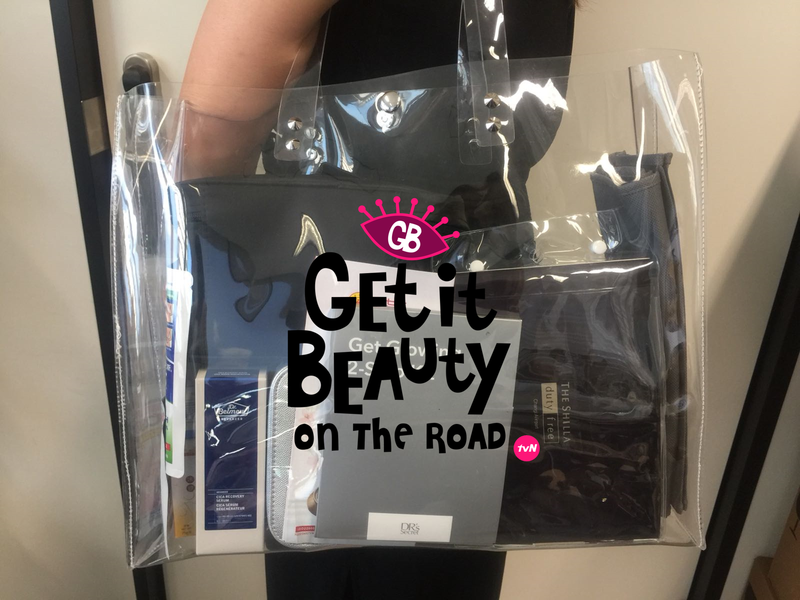 In conjunction with tvN Asia screening of Get It Beauty On The Road, we'll be giving 2 beauty bags worth USD400 to our readers. The beauty items include mask pack, whitening beauty drink, serum, beauty voucher, lipstick, moisturising cream and more - ranging from brands such as BWL, Hisamitsu, Hi Beau, THEFACESHOP, LeeKaJa, Laneige, Shilla, Aveda, ORIGINS, COTY, Clinique and Shiseido. All you need to do is share this Facebook post with caption "I want to watch Get It Beauty On the Road features #DARA on tvN, every Tuesday at 6.30PM", Tag 1 friend & hashtag #GOkpopxGiveaway and you will stand a chance to win this beauty bag worth USD400. This contest is open to all Malaysian and Singaporean. Contest ends on 31 July, 8PM.